In the ancient world the term holding out or offering the olive branch to put an end to disagreements was a common custom. If your body is also revolting against the neglect you have imposed upon it due to lack of time and stress, it is time that you offer the olive branch to it. The best way to resolve all your health woes and make peace with your body is to use olive oil in your daily cooking. Olive oil has a host of health benefits that will make you fit from within and beautiful from outside. Not to forget, beauty experts also recommend olive oil for supple skin and gorgeous hair. 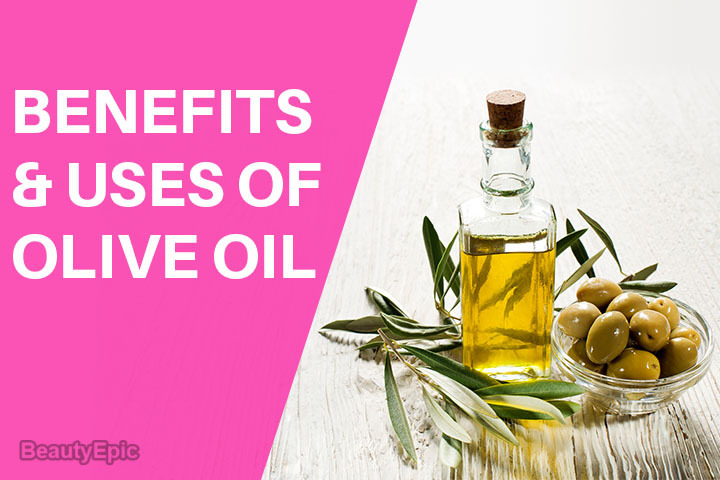 This oil is a powerhouse of nutrients and antioxidants that make it versatile, you can use olive oil for body massage, deep hair conditioning or keep your weight in check. You must be curious to find what makes olive oil the best choice for maintaining good health, adding luster to your hair and a golden glow to your face. So to put an end to all your queries, here are the benefits of olive oil that will compel you to use it on a daily basis. Nutrition Component of Olive Oil as per Authority Nutrition Reports are, The nutrient content of 100 grams of olive oil. There is a huge complaint that the proportion of Omega 6 fatty acids are higher in Olive oil compared to Omega- 3 fatty acids (10:1 ratio), but if you compare it with other edible oils olive oil still remains a much healthier option. The abundant use of fresh olives and olive oil in food preparations is an integral part of Mediterranean diet. Chef’s use olive oil because it has a distinct taste and most importantly it is healthy. Unlike other oils which are extracted from nuts and seeds, olive oil is derived from fresh olive berries and this ensures that oil is rich in vitamins, natural phyto-serols and antioxidants. Olive oil is rich mono- unsaturated fatty acids (MUFA) which helps to lower the bad cholesterol (LDL) and increase the levels of good cholesterol (HDL). Cold pressed olive oil is extracted from freshly harvested berries. The oil derived from green olives is bitter and more pungent compared to that extracted from black olives. All freshly pressed oil is devoid of low free fatty acids. Olive berries are machine pressed without chemicals and excess heat to manufacture virgin olive oil. This retains the nutrition content of olive oil. Extra virgin olive oil is the highest grade of olive oil. Olive oil is generally used as a cooking medium and you can also use it to make delicious salad dressing and dips. Olive oil being a major component of the Mediterranean diet people belonging to that region is less susceptible to heart disease, strokes and high blood pressure compared to Americans and Europeans. The mono saturated fatty acid in olive oil is considered a healthy dietary fat compared to saturated and trans fats. Olive oil helps to prevent hyper lipidemia or high levels of cholesterol and triglyceride levels. Olive oil can also raise the levels of HDL or good cholesterol and allow proper functioning of the heart. Regular intake of olive oil helps to reduce endothelial dysfunction (this happens in the inner lining of blood vessels), reduce inflammation and thrombosis. Study reveals that daily consumption of fast food that contains unhealthy fats can lead to depression in humans. Olive oil contains healthy fats that aid in reducing the risk of slipping into depression. Olive oil contains a phyto nutrient called oleocanthal and it has same effect on the body as ibuprofen does. Daily consumption of olive oil helps to reduce inflammation. Olive oil actually helps to reduce inflammation markers like C – reactive protein. Olive oil also contains vitamin E and other antioxidants that help to prevent cancer. Olive oil is low in saturated fats and it is fortified with soluble fiber and carbohydrates are good for diabetics. It not only reduces low-density lipoproteins (or bad cholesterol) it also visibly improves blood sugar control and insulin sensitivity. Medical research recommends that one should place more importance to the type of fat than amount of fat that they are consuming daily. Healthy fats in olive oil and nuts can actually help to fight chronic ailments. 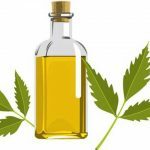 A scientific study published in the journal ‘The Diabetes Care’ reveals that a diet rich in olive oil helps to reduce type II diabetes by almost fifty percent. Here is a fun fact, though olive oil is high on saturated fats yet it is a great antidote against obesity. So replace your butter and cheese with olive oil. Here is the deal, fry or sauté your veggies in olive oil and see how your weight reduces in a month’s time. High consumption of olive oil accelerates bone mineralization and bone calcification. It also aids in calcium absorption and prevents the onset of premature osteoporosis. Higher olive oil consumption can prevent the occurrence of strokes. This study was published in an online issue of Neurology published from France. This study informs that the participants used extra virgin olive oil in their daily food preparations. The results of the French experiment reveals that regular use of olive oil reported 41 percent less chances of suffering from strokes. A diet rich in olive oil helps to prevent the premature ageing of the heart. The monosaturated fats in olive oil help to keep the arteries in a good condition and prevent atherosclerosis. Osteoporosis is a common disease in which a person’s bone mass decreases gradually and this results in fragile bone tissue and a high possibility of fractures caused by minor injuries. Women and elderly people are susceptible to osteoporosis. Post-menopausal osteoporosis is a very common these days. Not to worry, olive oil is here to rescue you from brittle bones. Olive oil supplements help to thicken bones and prevent painful fractures. Malignant melanoma is the most dangerous form of skin cancer prevalent today. Olive oil is the most effective natural sunscreen that can protect your from tanning and get your skin burned by the harmful UVA and UVB rays of the Sun. Also consuming olive oil and opting for a Mediterranean diet can really help in altering the oxidizing effect of the Sun. Olive oil protects your body from metabolic syndrome. Now you may ask what metabolic syndrome means. Dr. Antonis Pothoulakis (interventional cardiologist at Iasis Clinic in Chiana, Crete) has the answer to your query, “Metabolic Syndrome is a combination of abdominal obesity, high blood pressure, abnormal cholesterol and high blood sugar.” He further adds, “Metabolic syndrome is connected to the obesity epidemic of our time, a big belly poisons our metabolism and a poisoned metabolism can result in type 2 diabetes, heart attacks, stroke or sudden death.” A recent study shows that daily consumption of food cooked in olive oil, low fat dairy products, legumes, fruits and vegetables can simultaneously prevent both abdominal obesity and metabolic syndrome. Virgin olive oil is rich in oleic acid (mono unsaturated fatty acid) and a host of antioxidants that prevent the growth of cancerous tumours in the body. Breast cancer is the most common type of cancer that affects women. Reports reveals that those women who follow a Mediterranean type of diet have lower rates of certain types of cancer like breast cancer. Oleuropein Aglycone is the main polyphenol in olive oil and it prevents the onset of Alzheimer’s disease in elderly patients. Lab tests on mice reveals that the polyphenols in olive oil not only prevents or delays Alzheimer’s disease; it also improves the overall cognitive performance in humans. Thus everyone should switch their loyalty to healthy and yummy food cooked with olive oil rather than using other Mediterranean diet staples like corn oil. Olive oil can prevent unwanted blood clotting thus reducing the risk of strokes and heart attacks. Olive oil improves endothelial function and promotes healthy blood vessels. The numerous health benefits of olive oil make it a cornerstone of Mediterranean diet. No wonder Spaniards, Italians and Greeks swear by olive oil. Now it has become ‘global’ oil. 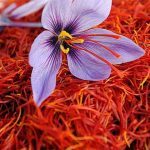 Extra virgin oil is the most popular and purest form of olive oil but there are different kinds of olive oil which you should know before making the right choice, here is your quality guide. If you thought that olive oil is only a chef’s favourite ingredient, it has numerous other beauty benefits that can make you look like a glamorous diva. Olive oil is rich in vitamin E and it works as a great moisturizer for dry skin. 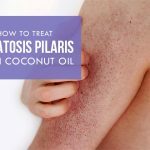 You can massage olive oil on the elbows and knees which easily get rough and dry. Blend equal quantities of water and olive oil and massage it to your skin. Wash off with lukewarm water. This will keep your skin soft and supple since olive oil help to regenerate skin tissue. Make your own hydrating face mask at home with olive oil. Just blend one tablespoon of olive oil with one tablespoon of honey and a yolk of one egg. Apply this mask after cleaning your face. 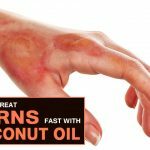 Keep it for 15-20 minutes and wash it off with lukewarm water. Follow this routine once a week to get even skin tone and complexion. Alternatively, you can make a face mask with mashed avocadoes and olive oil to moisturize your skin from deep within. Olive oil is fortified with healthy fats like oleic acid and vitamin E that help to keep the free radicals at bay and repair the damage caused by the Sun. You can use olive oil directly to your skin to soothe sunburn and other irritations caused due to constant exposure to the Sun. You can use olive oil as a night cream to keep your skin soft always. Daily olive oil massage can keep the ugly looking stretch marks at bay. Olive oil not only regenerates skin it also improves the skin’s elasticity. You can also use olive oil to lighten the stretch marks already present on your body. Make sure the olive oil is lukewarm before you apply it. You can use olive oil as a natural makeup remover. It is free of chemicals and suitable for all types of skin. You can blend olive oil with castor oil and use it as cleanser. Wash off your face with lukewarm water and a mild face wash to remove any traces of makeup and oiliness from your skin. Since greasy skin can clog pores. Antioxidants present in olive oil like hydroxytyrosol and vitamin E prevents skin degeneration and premature ageing that happens as a result of it. Squalene present in olive oil helps to maintain the skin’s elasticity. Massage olive oil around the eyes to reduce wrinkles around your eyes. The skin around the eyes is very delicate so be careful when massage olive oil around your eyes. Blend olive oil with sea salt and few drops of lavender essential oil to create your own homemade exfoliator. This olive oil based exfoliator will remove dead skin cells and keep your skin smooth. Blend olive oil with tea concoction or tea liquor as it popularly called and apply it to your face and skin. Leave it for an hour and rinse. Make sure you don’t wash or shower since the residue on your skin will act like a natural sunscreen. You can use olive oil instead of your lip balm to get soft pink lips. You can blend olive oil with coarse sugar and use it to exfoliate your lips. Blend olive oil with grounded coffee powder to remove cellulite from your skin and get a toned body. Sometimes applying eye makeup like mascara can cause irritation to sensitive eyes. 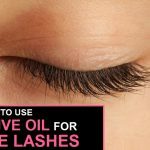 Apply olive oil to your lashes with a mascara wand before apply the mascara. This will add volume to your lashes for that perfect sensuous peep. It will also protect your eyes at the same time. Apply olive oil liberally to your skin before shaving off unwanted hair. This will protect your skin from cuts and burns caused by the razor. Add few drops of olive oil to your ear to get rid of the pesky earwax buildup. Olive oil can soften your nail cuticles and ensure that you get longer and stronger nails. If your hands are constantly exposed to water you can use some olive oil after you complete your daily kitchen chores. You can blend olive oil with Tea tree oil, lavender and calendula to make your own antibacterial salve at home. Olive oil can resolve diaper rash and cradle cap in babies. It is apt for the bay’s super soft and sensitive skin. If you have rough and split heels exfoliate the affected area with pumice stone and apply olive oil. Put on socks and let it sit overnight. Doing this daily can improve the skin around heels. Using dirty makeup brushes can cause skin irritations. You can clean your makeup brushes by washing it in a solution made from anti-bacterial soap solution and olive oil. Olive oil is a best treatment for skin irritation like eczema. You can use handmade olive oil soap to skin your skin hydrated. Apply warm olive oil before shampoo and massage it well. Follow it up with turban therapy for effective results. Warming the oil will ensure that it gets better absorbed to the scalp and the hair roots get the nourishment it requires. Olive oil contains 80% oleic acid that improves hair texture and deeply conditions hair from within. A day or a week after shampoo your gets frizzy and it becomes tough to maintain those flyways post wash and styling. All you have to do is to apply olive oil to the ends of flyways to keep it in place. Olive oil when used post styling adds a gloss. So ditch those expensive hair serums and opt for olive oil treatment. Olive oil massage is beneficial for very dry and thick hair. Don’t apply too much olive oil if you have oily hair and scalp. If you use chemical treatments to your hair like bleaching, perming, coloring etc. apply olive oil after 72 hours after the salon treatment. Apply olive oil on a hair strand before you use it on bleached hair to make sure that you don’t leave any color behind. Massaging with olive oil can cure and prevent split ends. It can soothe hair shaft that has been exposed to heat treatment. Use a towel to prevent staining your clothes. You can use olive oil and then comb your hair to remove lice, nits and dandruff flakes. Olive oil was used as a beauty product by ancient Egyptians. The famed queen Cleopatra used it regularly. Now you must be convinced why the cosmetic industry used olive oil liberally to make lotions and creams. Here is your guide to make the best use of olive oil to look gorgeous always. Olive oil is so versatile that you can use it for your skin, hair, nails and also for a fit body. This miracle oil can change your life and the way you look and feel. So here is time for a change, good luck for your olive oil revolution! 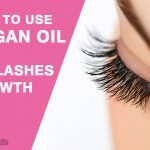 How to Use Argan oil for Eyelashes Growth?